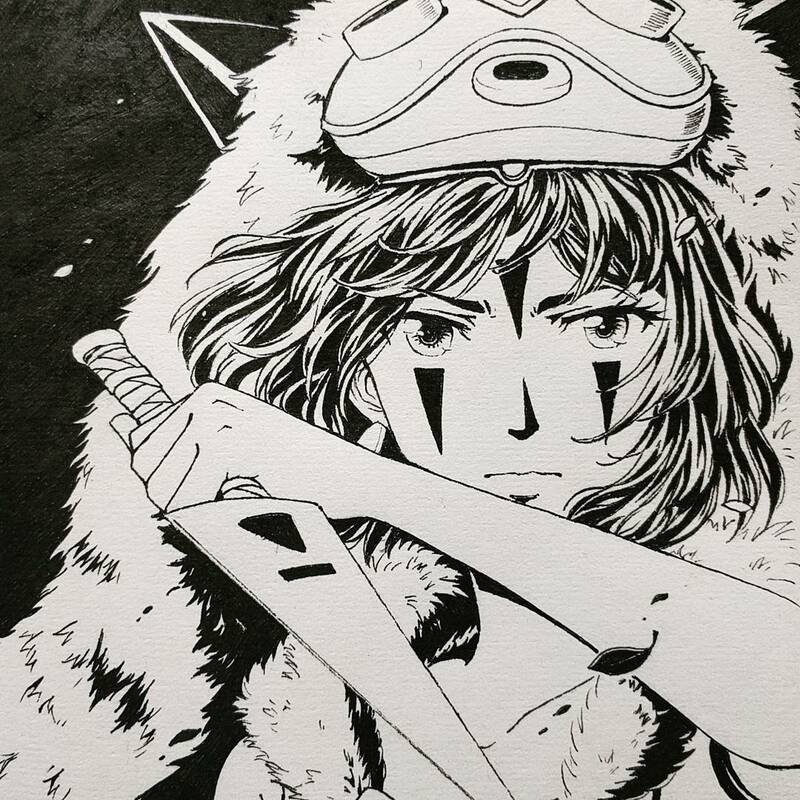 Had to draw Princess Mononoke for the fierce theme for Inktober, because she is definitely fierce! I’m not entirely sure how I managed to get the eyes fairly symmetrical, but it somehow worked out well enough. Drawn in pencil, then inked with a Unipen 0.1 fine liner.